The ‘Mad Men’-era cars have served an important social function for many riders as a place for friends to unwind, make job contacts and sometimes play pranks. STAMFORD, Conn. — The bar cars on trains between Manhattan and Connecticut were making their final run Friday after decades as a gathering place for commuters who played dice, found jobs and had annual Christmas parties with a jazz band. With their faux-wood paneling on the walls and red leather lounges, the bar cars that have run on the Metro-North Railroad for at least a half-century evoke New York’s “Mad Men” era of martini lunches. On the 7:07 p.m. train to New Haven on Thursday, commuters snapped photos and recorded videos of the rolling taverns that were much more than a place to have a drink. Her husband, Fred Lexow, was a regular bar car rider for more than 20 years and was one of the original dice players. When he died in September 2012, she described him in his obituary as “a former regular rider of the 523 Club from Grand Central.” Fellow bar car riders attended his wake, and bartenders sent flowers. 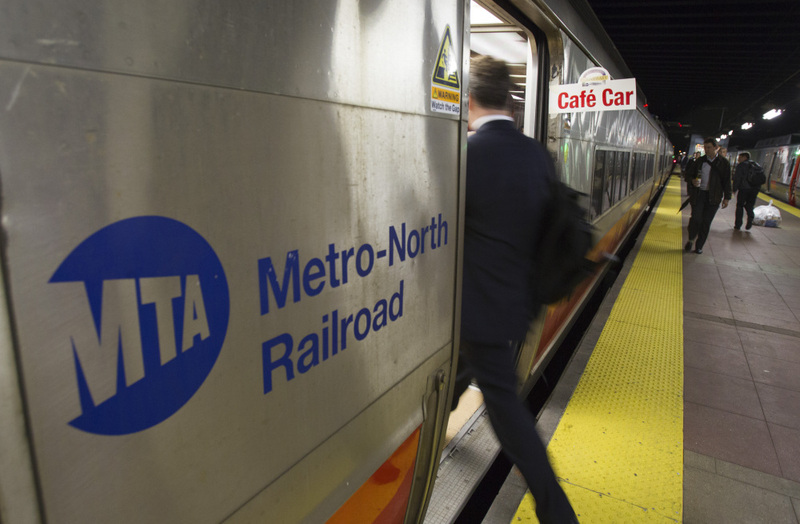 The bar cars are being retired because they cannot be coupled to a new fleet of train cars on the New Haven line. Transportation officials are hoping to buy new bar cars or retrofit some, but no decisions have been made yet. The annual Christmas party until a few years ago featured a five-piece jazz band underwritten by a rider. 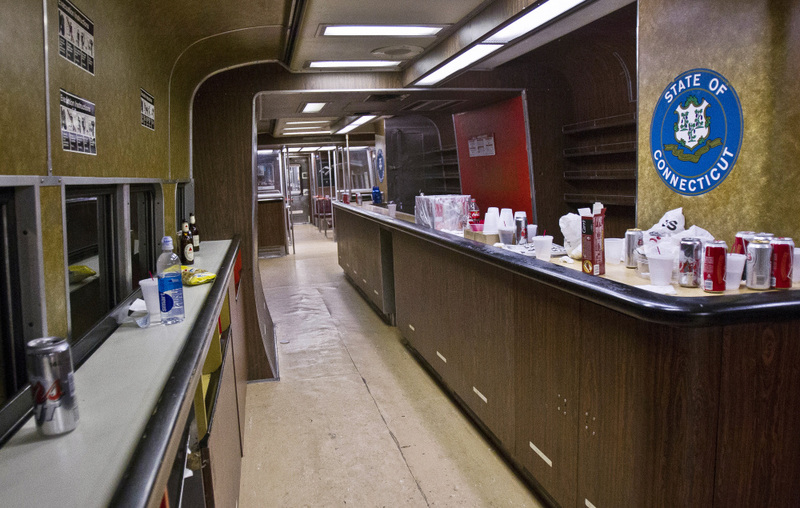 The bar cars were also a place to make contacts for new jobs and for a prank, like gluing cans to the bar to trick a man who would come through and guzzle half-drunk beers, riders say. Kyle Elliott said he started riding in the bar car 10 years ago but a job change two years ago has kept him away. He returned Thursday after hearing they were making their last runs. Meghan Miller, of Branford, who’s been riding the bar car since 1997, said she showed up for the birth of a fellow rider’s child before he did because she was on an earlier train and the rider’s wife had called her as his emergency contact. She said bar car riders would buy her drinks and smoking used to be allowed. 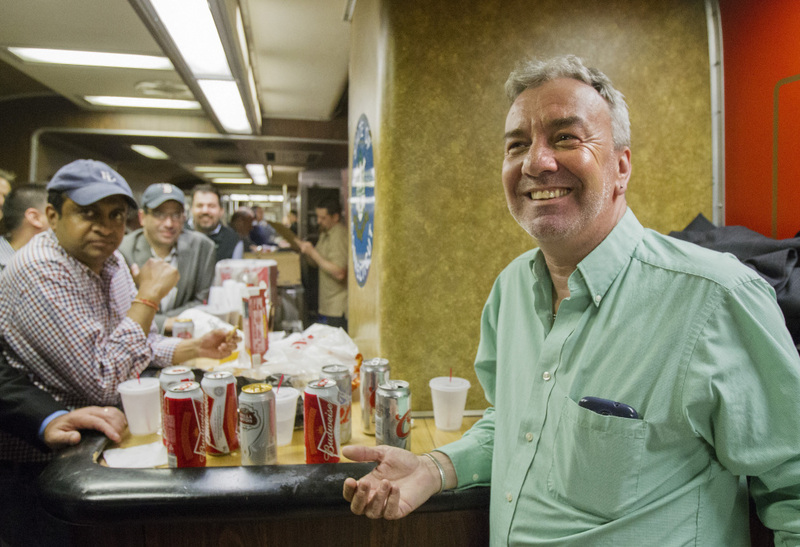 Mark DelMonte, of Wallingford, was known as the “mayor of the 5:48,” sending email alerts to fellow bar car regulars updating them on which of the dwindling number of bar cars were rolling.